The last stop on my month-long trip to Europe last September was London. 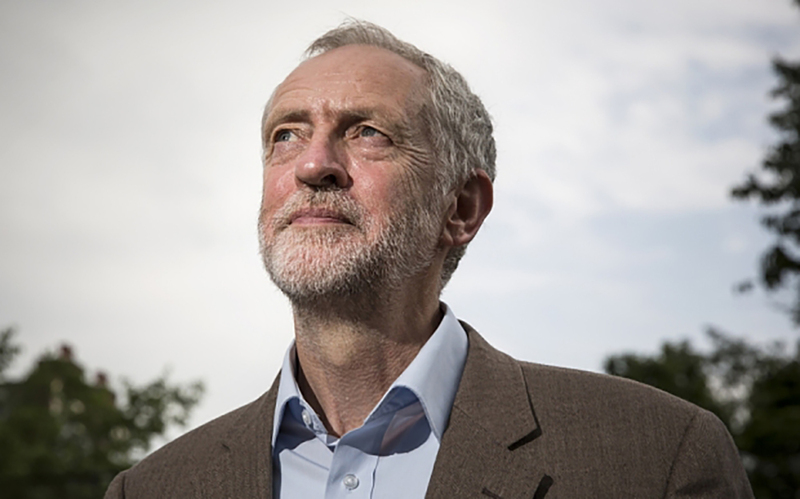 The London papers headlined Jeremy Corbyn’s surprise election as the Labor Party’s new leader. On September 12, Corbyn won 59 percent of the vote among the 550,000 official party members. Over 60,000 joined Labor because of Corbyn, and it was returning union members and first-time young voters who made his victory possible. For years many union members have felt shut out by the moderates in the party. Just like those who “Feel the Bern,” Corbyn’s supporters call him authentic and lacking pretense, and they admire him for saying what he truly believes. Also like Bernie Sanders, he believes that he can galvanize youth and other disaffected voters to create a political revolution. As a columnist in The Economist recently wrote: “Labor has always been two parties, one social democratic and the other anti-capitalist”(1/2/16). The split is now clearer than ever. Moderates are so alarmed that they are seriously considering forming a separate caucus in Parliament. European Social Democrats have made their peace with their capitalists, but Corbyn insists on the clear meaning of Clause 4 of the Labor Party’s Constitution, which commits its members to “the common ownership of the means of production, distribution and exchange.” Realistically, this means that Corbyn would urge the government to help finance worker-owned cooperatives. Corbyn wants to restore cuts to welfare benefits and to roll back the tuition university students now have to pay (far less their American counterparts).He also proposes large public works projects, which would be financed by deficit spending and raising the top income rate from 45 to 60 percent. Sanders also wants colleges and universities to be tuition free, and he wants to scrap Obamacare and replace it with a single payer system. An analysis done by The Economist (2/13/16) concluded that all of Sanders’ programs would require that income taxes rise from a top rate of 39.6 to 67 percent. An Emory University study demonstrated that instead of saving $630 billion per year, Sanders’ single-payer plan would run instead an annual deficit of $1.1 trillion. 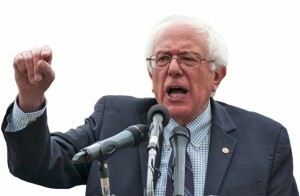 Sanders calls himself a “democratic socialist,” but commentators are wrong to compare him to other famous American socialists. Norman Thomas refused to run as a Democrat or a Progressive, because he embraced in the British Labor Party’s original belief in the common ownership of the means of production. Surprisingly, young Americans (ages 18 to 29) support socialism, whatever they think it means, by a margin of 49 to 43 percent. No doubt showing the effects of the Cold War on older Americans, only 31 percent of all those polled had a positive view of socialism. General polling from YouGov gives a more favorable result: socialism as an economic system wins over capitalism by 12 percentage points, and 59 percent of Democrats would vote for a socialist president. At 49 percent even independent voters are favorably inclined. Only 26 percent of Republican voters embrace a socialist president, but I’m surprised that the number is even that high. Averaging all the current presidential polls, Sanders actually does better than Clinton against every major GOP candidate: 50/38 against Bush, 48/34 against Carson, 50/39 against Cruz, 47/41 against Rubio, and 51/41 against Trump. My heart and mind are with Bernie, but as president none of his legislation would ever get a hearing. (Even most Democrats disagree with him.) A more pragmatic President Clinton would also be fighting a Republican Congress every day. Furthermore, these early polls are notoriously inaccurate, and if Sanders is the nominee, I fear another McGovern-like disaster. If Sanders is the Democratic nominee, this is what I fear as well. Nick Gier of Moscow taught philosophy at the University of Idaho for 31 years. Read his columns on political economy at www.webpages.uidaho.edu/ngier/ThirdWay.htm. Click PDF files if necessary.